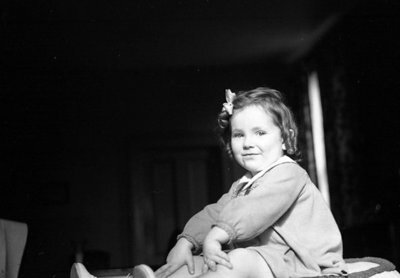 A black and white negative of a child sitting on a table with her hands on her legs. The negative envelope refers to the child as Nada. The last name is illegible. Unidentified Child, November 24, 1937, Marjorie Ruddy. Whitby Archives A2013_040_085C.